When the Rockingham ministry fell in 1766, one of the most powerful figures to give voice to taxing the Americans, Charles Townshend, emerged. Attempting to bypass America’s extreme reservations regarding internal laws and taxation without representation, the Viscount managed to get three laws through the British government: 1) the American Board of Customs Act; 2) the Revenue Act; and 3) the New York Suspending Act. To enforce the will of the British government, 4,000 British troops departed from occupied Ireland for the American colonies. While Americans understandably despised all three laws, it is the second that allowed the real voice of continental independence to arise: the voice of John Dickinson, resident—at various times in his life—of Delaware, Pennsylvania, and London. Under the second law, the Revenue Act, Townshend foolishly thought himself clever enough to avoid all the arguments and violence that had arisen against the Stamp Act. While that poorly conceived act of 1765 would have required a tax—through the issuing of stamps—on almost every single legal, business, and personal transaction in the colonies (including nuptial agreements and playing cards), the Revenue Act would collect duties on goods the Americans could not easily produce themselves, such as glass, lead, paint, and tea. With this reactionary Mercantilist scheme, the Viscount hoped to raise nearly 40,000 pounds sterling annually from the North American colonists. And, interestingly enough, not a single British imperialist (or any other Brit) rose to oppose the Letters. Indeed, one royal governor conceded, Dickinson’s arguments are “artfully wrote and. . . Universally circulated should receive no Refutation. . . It will become a Bill of Rights of the Opinion of the Americans.” [Knollenberg, Growth, 52] Admittedly, the one man who might be able to defend the Revenue Act, the Viscount who had persuaded the government to pass it, died the following September, 1767. If he answered, no one heard it, his voice echoing from somewhere in the eternal realm. While this essay would become too unwieldy if I examined in detail the rather complex arguments presented in all twelve Letters, it is worth looking at (and quoting) from the first and last Letters. In letter no. 1, Dickinson declares himself a liberal man. Not only does he possess a great library–a rare but respected thing in colonial America–but he has also talked with all of the greats of the past. What has he learned from their conversations? Not surprisingly given Dickinson’s talents, he admirably brings the argument in favor of liberal education and liberty back into the conclusion of the 12th letter, noting that it is better to be a citizen of the world than a citizen of a perversion. The loss of virtue also ends in the negation of liberty, the latter being a means to the former. During the middle of the publishing of these Letters, Dickinson privately wrote James Otis, encouraging him to make something of the Letters in a Massachusetts revolution. Under the direction of Sam Adams, the government of Massachusetts issued the powerful circular letter of February 11, 1768, calling for a nullification of the Townshend Acts. How Important were the Letters? One should take the quoted claims above very seriously. The Letters remained the single most-read collection of documents regarding American liberty until the publication of Thomas Paine’s powerful but utterly unoriginal Common Sense. While both publications are spirited, Paine’s is animated by passion, while Dickinson’s–much more original–is animated by reason. Let us take this a bit farther. While I love Thomas Jefferson and his many gifts, his Declaration of Independence, as he admitted in 1825, was not only not original, but it was also a synthesis of nearly every thought the patriots had. It was an expression of the American mind at the time, as he explained. It also arrived on the scene well after hundreds of localities had not only declared independence but had also issued Declarations of their own. 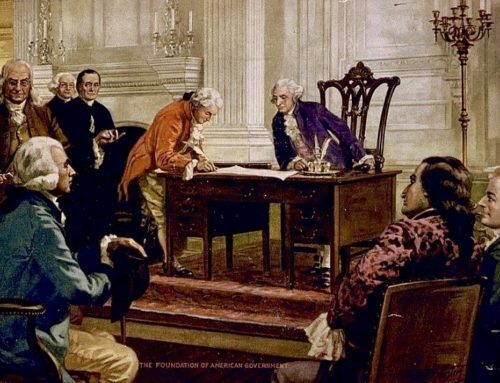 Indeed, we must recognize that the Second Continental Congress played catch-up when it acted on July 2, July 4, and August 2, 1776. Therefore, Dickinson’s Letters—the first such document(s) to claim a voice for all of the colonies, not just for the peoples of Braintree or Virginia, or what have you—solidified the ideas of the western tradition, the Anglo-Saxon notion of common law and constitutionalism, and the experience of the colonies in the American mind. When Jefferson expressed the common sense of the subject, he and Congress relied on the intellectual and philosophical convictions first expressed by Dickinson in 1767 and 1768. 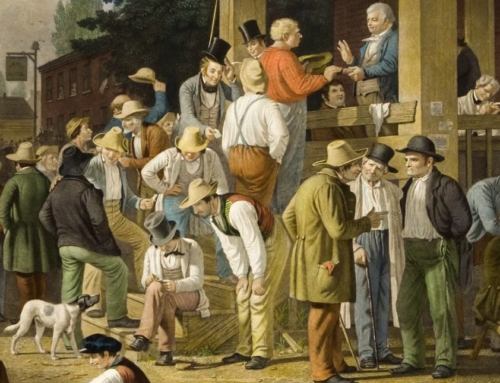 One could, therefore, argue rather effectively that the Letters from a Pennsylvania Farmer paved the road that led to Jefferson’s Declaration and Congress’s independence. Some might immediately object that Dickinson failed to live up to his own ideals by refusing to sign the Declaration in July 1776. An understandable argument–at least until the context of a few events and decisions are made. Dickinson might have refused to sign the Declaration, but he did draw up the first constitution of the United States: the Articles of Confederation. Later, as a moderate Federalist, Dickinson not only served as, arguably, one of the two or three most important voices at the ratification debates of the summer of 1787, but he helped secure passage of the Constitution. He also readily defended his home when hostile British troops entered Delaware in 1775. Dickinson was a true patriot, a man who gave his intellect and who was willing to give his life for his republic. While the musical “1776” willfully misrepresented Dickenson as one of the ‘cool, considerate men’, at the end, it it also showed him no less a patriot willing to take up arms than the rest. ISI’s biography of John Dickinson is yet another book I want in my library. Others beckon though. Sigh.